Kino Flo’s new FreeStyle 31 & 21 LED unleashes your creative side by using a newly designed quick-release system to remove the LED panel from the plastic housing. 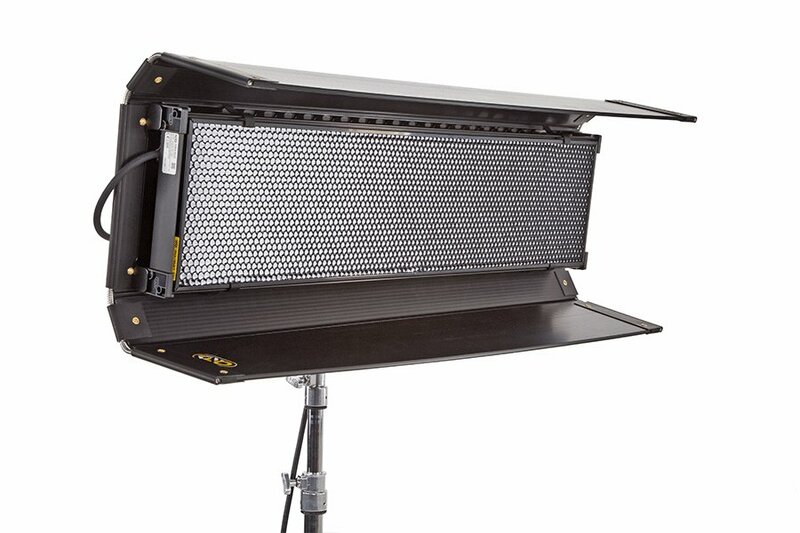 The smaller form factor and lightweight LED panel combined with four corner bumpers add further rigging versatility. The LED panel also includes an additional mating plate so it can still be mounted on a stand. The new FreeStyle 31 & 21 LED’s include three menu options, one white and two color menus. Those who prefer to work with white light can use the "white menu" that gives the user access to Dimming, Kelvin and Green/Magenta control channels. Kelvin range is from 2700K tungsten to 6500K daylight. The new FreeStyle 31 & 21 LED’s include three menu options; one white and two color menus. Info! Click on the links below to view, right click to download.